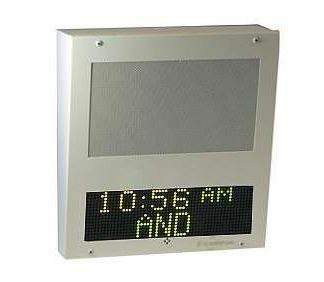 The ANETD IPSWD-SM-RWB is an 8-inch IP speaker embedded into a white 12" x 12" surface mounted wall hanging. It also features a 4 or 6 digit clock which can also scroll text. The IPSWD-SM-RWB features a red, white, and blue flashing lights upgrade used for alerts or emergencies. The IPSWD-SM-RWB includes a built-in microphone for 2-way talkback. The IP Clock is powered and fed to using an RJ45 connection on a Cat5 Cable from a PoE Switch so there is no need to install power where you will be using the speaker. 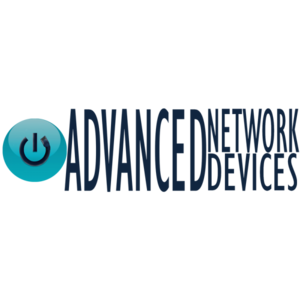 The Advanced Network Devices IPSWD-SM-RWB is an ideal addition to your IP Paging environment as they require no special hardware or servers. All speakers are PoE so no power needs to be installed at the location where you are placing the speaker. All you need is a Cat5 cable drop connected to a PoE Switch or PoE injector. An on-board web server exists for status and control and field upgrades. The clock is atomic, so it never needs to be reset. Included Software: Clockwise: A clock/alarm program for scheduling, alarms, stopwatch, timer, optional theme sound library, etc. Supported Software by 3rd parties: SA-Announce (Syn-Apps), MessageNet Systems, BellCommander (AcroVista), Application Gateway 2000 (Nortel), UC Server by Adtran (Objectworld) and others (Singlewire supported by special order part).